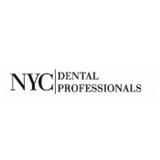 NYC Dental Professionals (New York) - Book Appointment Online! When you visit our dental office in Midtown Manhattan, your smile is our top priority. Our qualified general dentists, specialists, and entire team are dedicated to providing you with the personalized, gentle and quality dental care that you deserve. We pride ourselves on providing you with the highest level of quality dental care, and doing so in a gentle and caring environment using state-of-the-art equipment and techniques. You will experience all that modern dentistry has to offer, including a comprehensive list of general, restorative and cosmetic dental services to meet your needs and those of your entire family. Our commitment to you includes providing you with the information you need to make informed decisions regarding your individual oral health care needs, as well as helping you maintain your long term dental health and a beautiful smile. Dr. Devito is always so cheerful and nice and understanding. Also he often explains what he is about to do, which I feel is very important for a dentist to do. Great Dentist, NO PAIN and great service. I always feel that he knows what he is doing. The staff is great and accommodating.